It’s summer in Manila and we know there’s only one thing on your mind: Hitting the beach! Time to pack your bags, swipe on some sunscreen, and gear up for another seaside adventure—but of course, you gotta make sure you look extra fresh first. We round up 10 swim shorts to help you out and keep you looking slick (even if they’re the only thing you have on). Planning on riding the waves this summer? 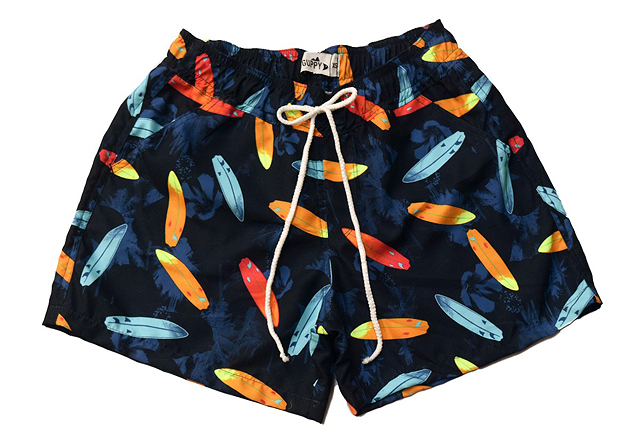 Show off your love for surfing with these surfboard-patterned swim shorts from Guppy. We love the bright primary tones of the pattern against the deep blue background. If you’ve never rocked pastel, summer’s the best time to start. 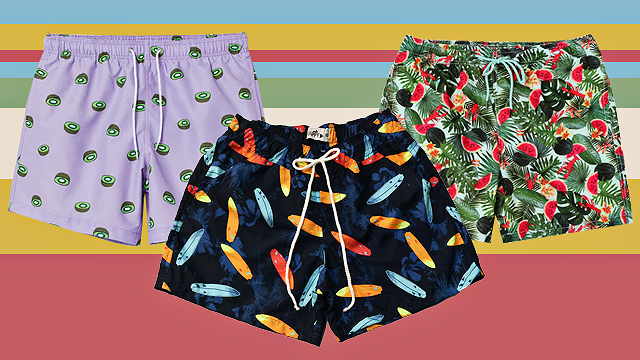 We’re loving the lavender shade of these quirky swim trunks from H&M. 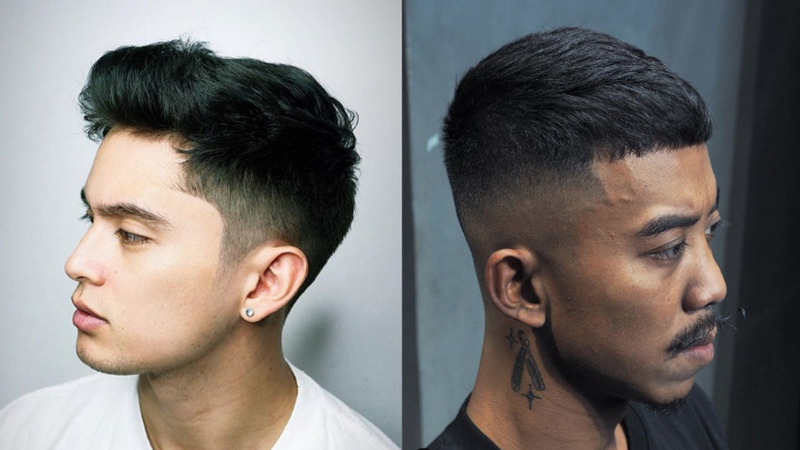 Even your girl friends will be envious of these! 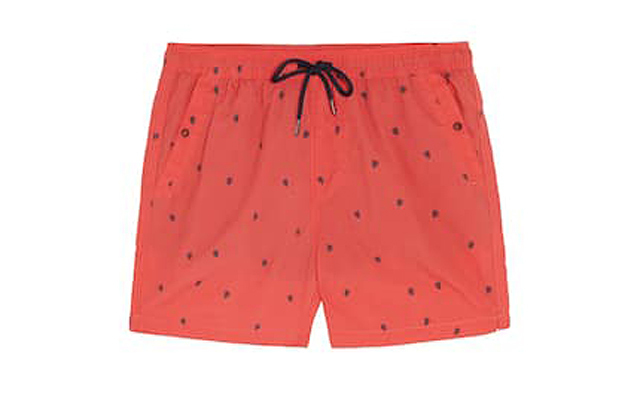 Get in on the “Living Coral” trend with these bright salmon-toned swim shorts from Pull&Bear. The tiny floral prints are subtle enough to let you pair these shorts with even the craziest patterns. Wear them with your fave Hawaiian shirt for a stylish pattern-on-pattern look. 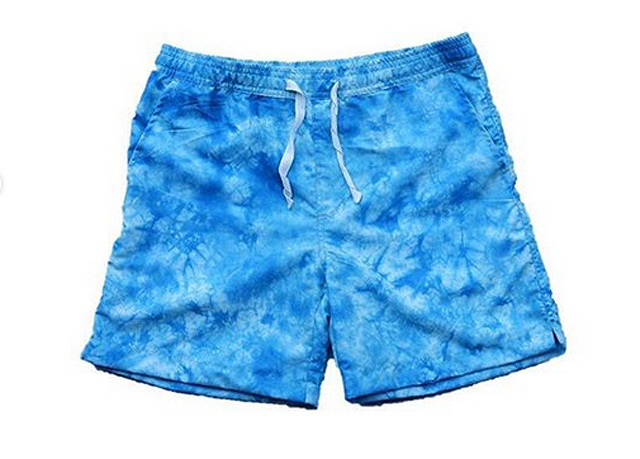 These aqua-blue shorts from Hovermen remind us of the ocean. The ripple-like pattern gives them a low-key tie-dye effect so you can get in on that trend, too. Plus, the bright-blue hue will look great against your fresh tan. These unique board shorts from Bench feature the famous Banaue Rice Terraces on them—perfect for adventurous and passionate travelers. They’re definitely on the bold side, but we think they’ll still look cool and casual with a loose beach polo and a straw hat. 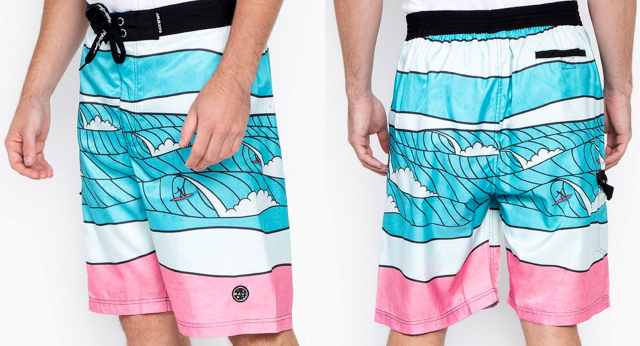 These shorts from Maui & Sons feature a cartoony surf design in bright, cotton-candy hues and we’re kind of obsessed. You can pair them with a cool graphic tee and your go-to rubber slides. Predominantly white pieces like these trunks from Forever 21 always look fresh for summer—plus, they’ll go with pretty much anything! 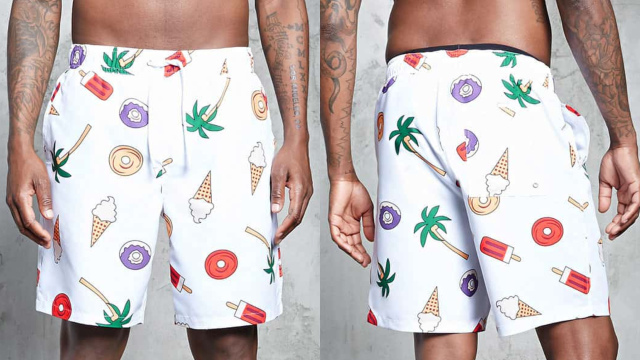 They’re covered in cute summer-inspired, doodle-like graphics like palm trees, popsicles, and floaties—a charming, quirky design for dudes who aren’t afraid to have a little fun with their outfits. Planning on taking lots of sunset pics at the beach? Be even more extra and wear the sunset on your shorts—no, really. We love the bright-orange hue on these skyline-printed shorts from Superdry. Plus, they’re a sure conversation starter! If you’re not ready to try out bold patterns and prints, maybe start with some bright colors first. These trunks from Factorie feature a basic vertical stripe pattern—they might resemble shorts you’d normally wear in the city and they look just as sharp. The fluorescent red, yellow, and blue hues give them a unique and stylish twist. Love the Hawaiian shirt trend? Why not try the same bold tropical pattern on your shorts? 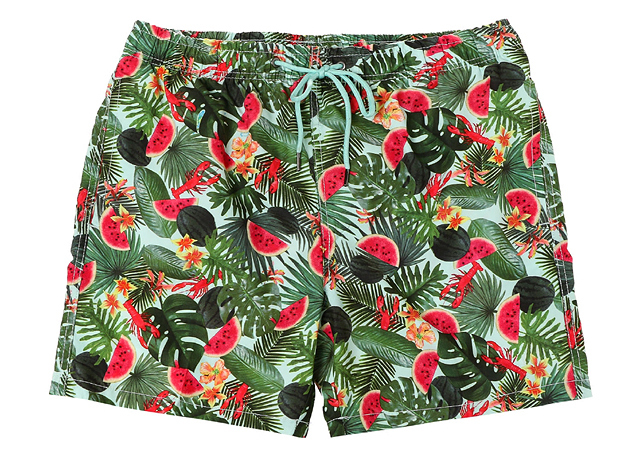 This pair from The SM Store feature a pretty standard foliage pattern, but the little watermelons on the print add a fun touch of bright red to the look. This story originally appearead on Spot.ph.